Applying micronutrients is a key part in the quest for ever higher yields. Photo courtesy of The Mosaic Co.
Jason Haegele, Region Agro­nomist for WinField United in Il­linois, says that as growers honed in on addressing the appropriate levels and application timing of macronutrients for corn and soybean in recent years, more interest naturally picked up in taking yields to the next level. The spotlight on super-growers like Randy Dowdy, David Hula, and Kip Cullers, who all use micronutrients and argue they are a key component of achieving higher yields, has also helped fuel demand, he says. “Micronutrients will continue to grow, even with markets being somewhat down, because I think growers still want to do better. Retailers have done a good job of educating their people to position these when the crop needs them,” says Toby Goodroad, YaraVita Product Director for Yara North America. Tissue testing is growing rapidly in the row crop industry. Photo courtesy of WinField United. As crop prices stagnate, the ability to devote those lean extra resources to micronutrients remains possible thanks to increased efficiencies — such as the widespread adoption of tissue testing. WinField United makes heavy use of tissue testing throughout the season via its NutriSolutions 360 program and the Indianapolis-based facility it owns, Sure-Tech Laboratories, to offer growers a rapid snapshot of what macronutrients and micronutrients might be deficient in their plants, and indicate whether those plants might respond to, say, an in-season application of a foliar micronutrient. Inside of a week, you can collect a tissue sample, have it analyzed, get a recommendation back, and make a foliar application. Haegele pointed out a case last year where WinField United conducted testing of its MAX-IN Ultra Manganese in three locations in Indiana. Two of the soybean fields tested were found to be potentially responsive to a foliar manganese application, while the third tested as having an adequate amount of the nutrient present in the leaves at the beginning of pod set. WinField United researchers made a foliar application of manganese across all three fields, and the results were as to be expected: Yield responses at the two responsive locations ranged from 3.5 to nearly 10 bushels per acre. At the third “adequate” site, a response of only one bushel occurred, which obviously wouldn’t have paid. The company frequently sees this relationship across many trials and farmer side-by-sides it conducts, Haegele says, which help it make recommendations that would result in a positive return on investment. Because many micronutrients have a tendency to be immobile within the plant, making multiple applications throughout the growing season of the same micronutrient might be necessary to realize the full benefits of better crop nutrition, Haegele explains. “I think there’s a greater awareness around the season-long need of micronutrients, and that’s been highlighted in some of the work that Dr. Fred Below at the University of Illinois has done in looking at nutrient uptake patterns of corn and soybean over the course of a growing season,” he says. WinField United’s suite of products allow the grower to apply micronutrients across the entire growing season. This includes chelated ingredients that go into the starter solution; foliar micronutrients applied to leaves; and lignosulfonate (LS) granular plant nutrients that ease application at any point during the season, potentially as part of top-dressing application of urea or other bulk fertilizer. The Mosaic Co.’s introduction of a series of calculators on its website has allowed growers and retailers to plug in local conditions and yield data to quickly determine what Mosaic products will provide the best return-on-investment (ROI) — another example of the ways companies have zeroed in on efficiencies and showing the value of micronutrients to end users faced with low crop prices. Mosaic has its own unique approach to micronutrients by focusing on the synergies they have with the company’s foundation in potash and phosphorous, of which it is the world’s largest producer. Tom Fry, The Mosaic Co.
Its two micronutrient platforms, MicroEssentials and Aspire, have experienced years of unabated growth with no slowing down in sight, says Tom Fry, Premium Product Sales Manager. Demand worldwide is such that the company is gearing up to expand production. “As we strive for higher and higher yields, we’ve got to look at addressing balanced crop nutrition on more nutrients than we have in the past. We look to develop more products in the future in the places we do business,” Fry says. Aspire, a potash-based product it launched two years ago that incorporates boron into every granule, revolutionizes the ability to place boron as the foundation in small quantities, so plants have access to it where and when they need it. MicroEssentials utilizes its proprietary Fusion technology in which nitrogen, phosphorus, sulfur, and zinc are fused into a nutritionally balanced granule, creating a single source for balanced crop nutrition. 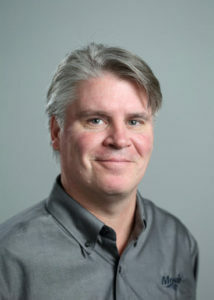 Not only have synergies between those nutrients been shown to improve uptake and boost yields and profitability for farmers, but retailers can also be more efficient with their assets, because the performance of the micronutrients enables them to cover more acres, as well as reduce the complexity they typically have to deal with in blends, Fry says. Like Mosaic, Compass Minerals is also in growth mode. “Regardless of commodity prices being suppressed, dealers and growers are still invested in micronutrients,” says Vatren Jurin, Senior Product Manager for Plant Nutrition. The company’s Wolf Trax product line, which it acquired in 2014, has continued to do well as dealers and growers experience the benefits over granular products, he says. For the 2018 growing season, Compass Minerals will go to market with ProAcqua, its new water-soluble fertilizer. ProAcqua will include microgranulated chelates, micro, and macro blends for foliar and fertigation use, as well as specialized micronutrient blends for use with post-applied herbicides, insecticides, and fungicides. Products in the ProAcqua portfolio will also feature proprietary adjuvant blends. 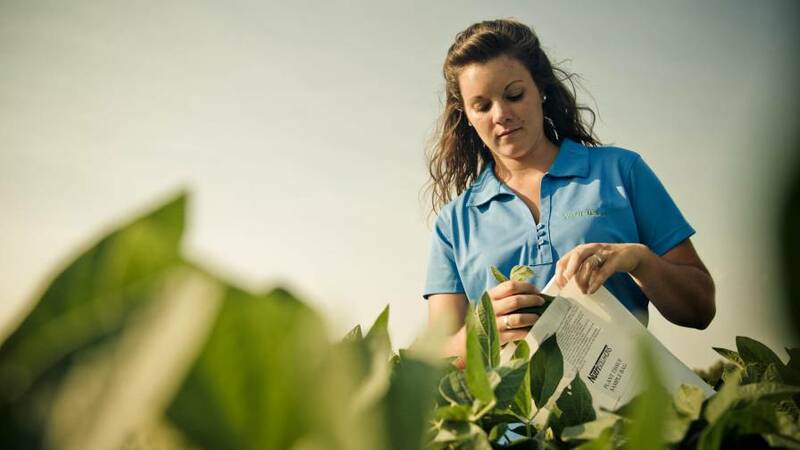 Boron, which helps blooms convert to fruit, is one micronutrient that has grabbed more attention recently as growers aim for those bigger crops, says Galynn Beer, Senior Sales Manager with St. Johns, MI-based AgroLiquid. “Guys are pushing the envelope on yield. You didn’t see (boron demand) at 60-bushel yield goals. Now, guys have their eye on 80 to 100 bushels on soybeans. Three- to five-bale cotton is a common goal, and they recognize that in order to achieve those goals, they’ve got to try to take care of those little details as well as the big details. Boron has become one of those little details they’re looking at,” Beer says. Growers, says Beer, have also become much more conscientious about including manganese in their Roundup Ready programs as an insurance policy against yellow flash, particularly in soybeans. The condition arises because some of the glyphosate absorbed into the plant can be metabolized into another compound, which in turn can have a toxic effect on chlorophyll, therefore making the leaves look yellow, according to Rod Gurganus, County Extension Director with the North Carolina State University Cooperative Extension. “The manganese flash issue has gotten so much publicity that guys are doing it on corn as well,” Beer says. Soil testing, typically done in the fall after harvest, is a practice emphasized by AgroLiquid, which manufactures each nutrient individually and can add any micronutrient as called for by the test. Inventory management of nutrients in the soil is part of controlling costs; a soil test helps direct the fertilizer investment to the appropriate nutrients, providing the best returns. When providing the necessary micronutrients, the company utilizes something it calls “Flavonol Polymer Technology,” which employs carbon chelation to facilitate movement of micronutrients in plant. As AgroLiquid looks to stay ahead of the curve, the company has its own research farm on which it is investigating micronutrients that aren’t currently in widespread use, such as silicon, cobalt, and nickel. While levels of these aren’t widely tested in the soil, they serve certain purposes in the plant’s development. 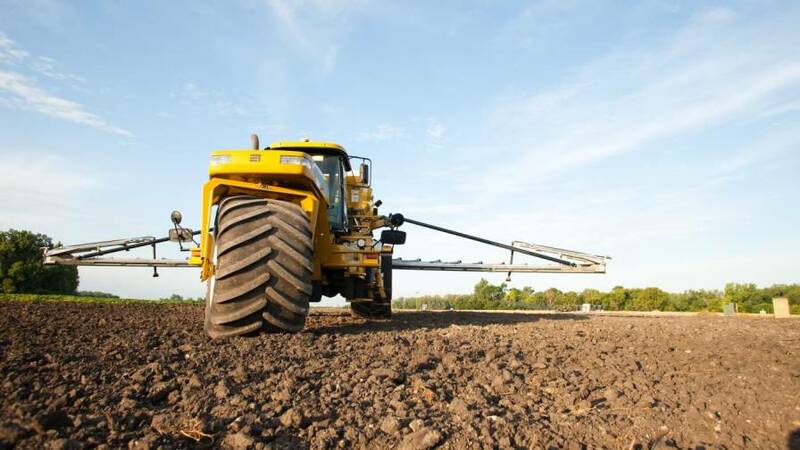 From Yara North America’s perspective, while the micronutrients business is still strong and poised to grow in the quest for ever-higher yields, it also hasn’t risen from a year ago in row crops. Growers delayed making decisions and then a wet spring hindered planting. In addition to Yara’s full line of foliar nutrition products, it will market an oil-based fertilizer coating, YaraVita Procote. It’s advantageous because it provides a good portion of the crop’s need upfront, instead of relying on in-season, foliar applications of micronutrients. Not only does the product take the decision-making out of the process for the grower, but it reduces dust. “Amazingly, when we travel and talk to farmers, anyone that has received a load of Procote and one that wasn’t, they want Procote, because it was so nice to handle, and has the added advantage of providing micronutrients needed by the crop,” Goodroad says. From a retailer’s perspective, it allows them flexibility, as they don’t use up any space for dry micronutrients. In addition, a Procote blend can be customized according to a grower’s specific needs. Because Procote is oil-based, it is a much heavier, viscous material that requires a heavier duty pump with a dedicated line, and so some investment in the set-up is necessary. If a retailer has any concerns, it will be over the equipment, but Goodroad emphasizes that all major equipment manufacturers have a solution for it. “It’s fairly easy to engage with them and help get them set up,” he says.